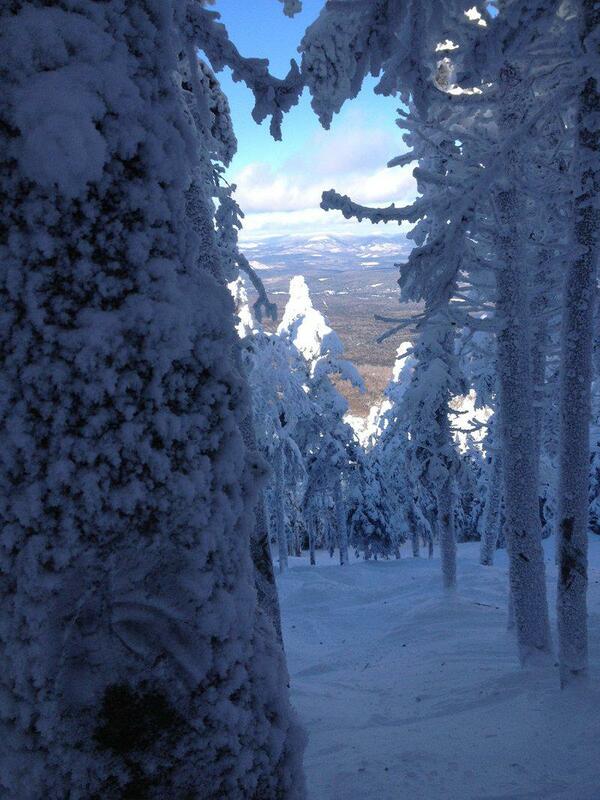 With the other family members busy this weekend, @MaineSkiFamily dad made a solo excursion to Saddleback Maine today. I was on the fence going due to the high wind forecast, but using my knowledge on ski-lift wind holds (see my blog post on anticipating ski lift wind holds), I figured the NW wind would blow right up the chairs and the lifts would turn and I proved to be correct! Saddleback picked up a nice couple of inches of snow overnight and with the wind the skiers left of most trails ended up with boot-deep snow in spots and the woods had just enough light snow on top of a very solid base to make them a lot of fun. The wider groomers were pretty hard to ski. There were wind-scoured with the gale blowing up the mountain. I figure if my eyes were watering inside my goggles due to the wind it was blowing pretty hard. However, all the narrow trails and woods sheltered you from the winds and held some nice fluffy snow. I thought Parmacheenee Bell, the left side of Peachy's Peril and Lower Nightmare glade were the runs of the day for me. 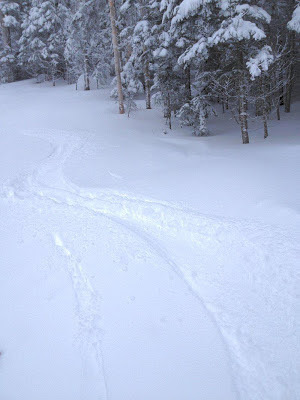 I don't typically like skiing glades alone so I was planning just staying mostly on the trails today, but I hooked up with a pack of skiers I met on the lift. They were all about my age and skiing ability so we took a few runs together. It was fun to meet and ski with some fellow Saddleback fans. While I could keep up with them fine, they were a bit better skiers than I was so it forced me to improve my technique in the woods to keep up. Sometimes you have to push yourself a bit (within reason of course) to take it to the next level. I skied alone in the afternoon and met three people on lift rides that knew my former boss and another person that was the owner of an assisted living facility that my mother used to live in. Small world! Every chairlift ride with someone else carried good conversation and a lot of talk about the great winter we are having so far. One other great thing I learned yesterday that the head walls of Governor, Wardens Worry, Black Beauty and Frostbite were all locked in with snow. The previous snow that fell was dense and it is now wind blown / frozen into place. This is huge and future snow storms will make these trails mint! Last year these head walls never filled in all year. Modest crowd but decent crowd. Lift lines were non existent most of the day as I think the wind kept a lot of people in the lodge or at home. 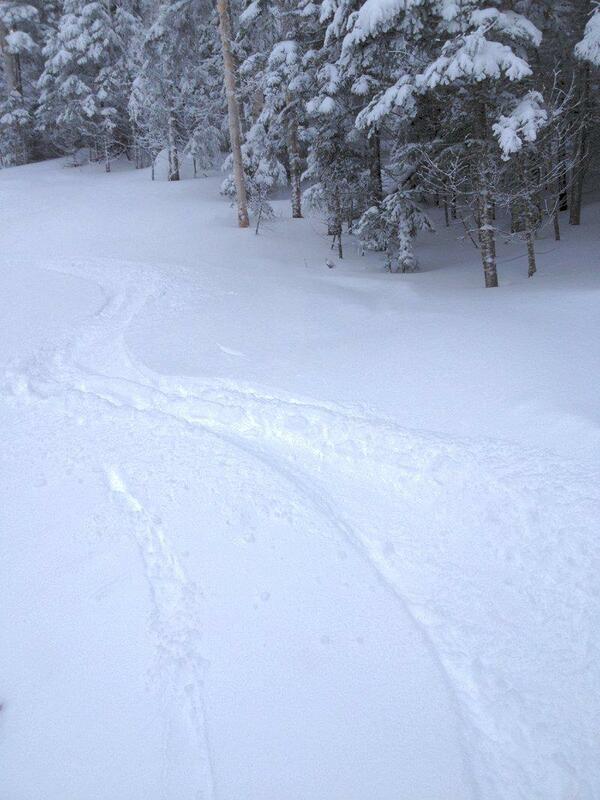 I think today's less wind and $29 Maine day lift tickets should make a great day at Saddleback! Go get it!